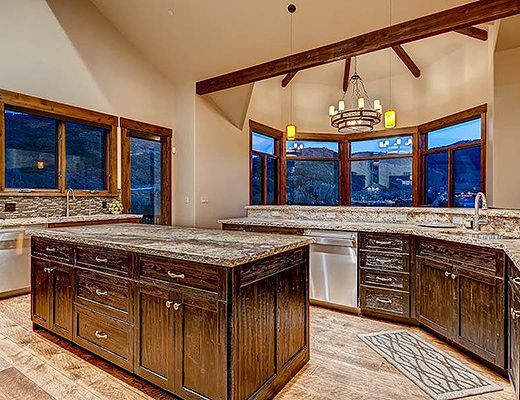 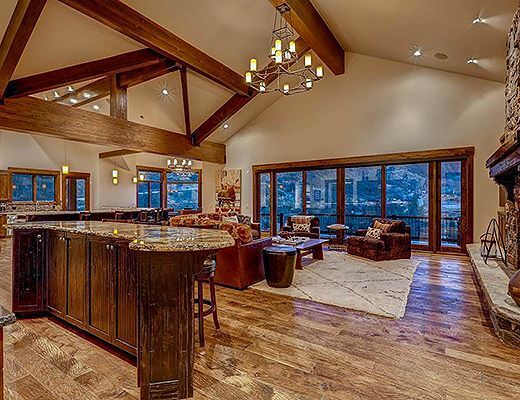 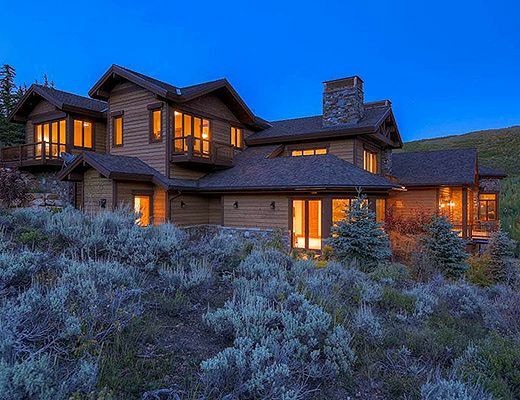 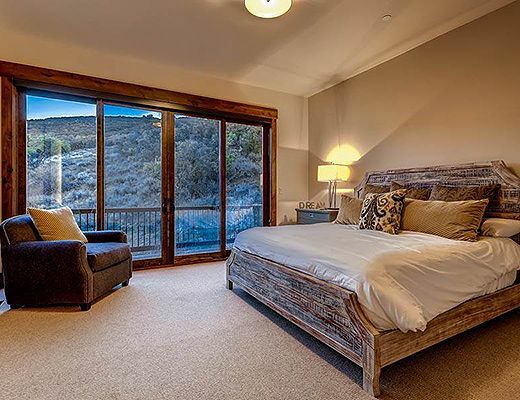 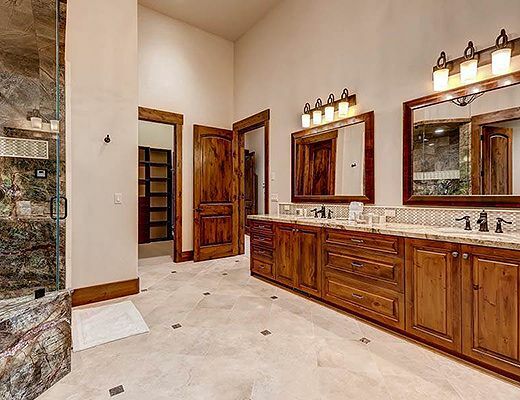 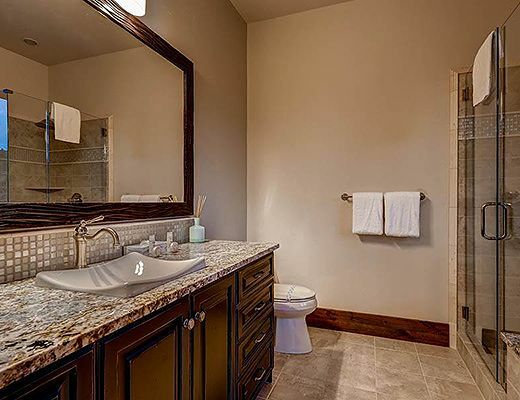 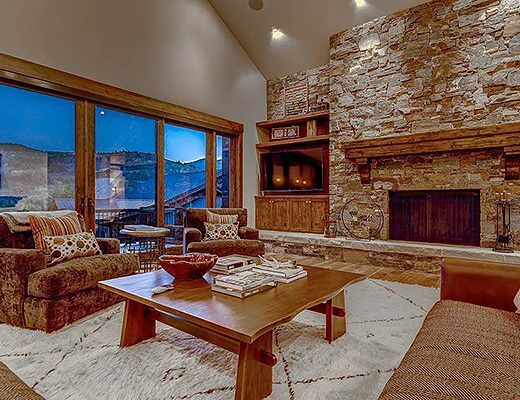 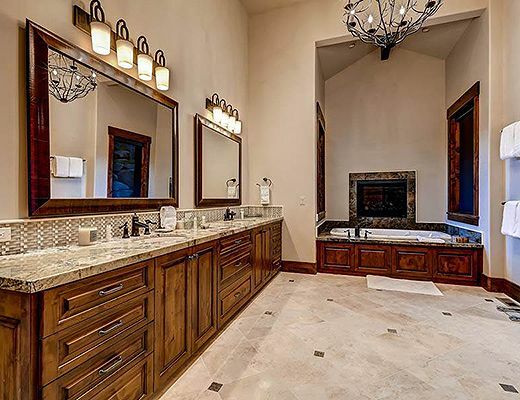 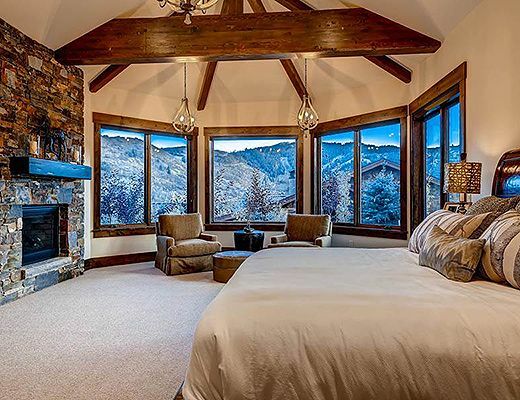 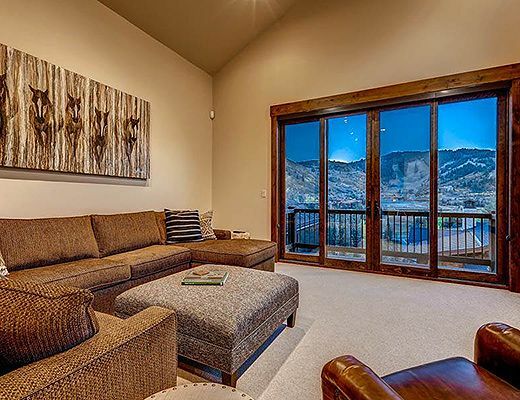 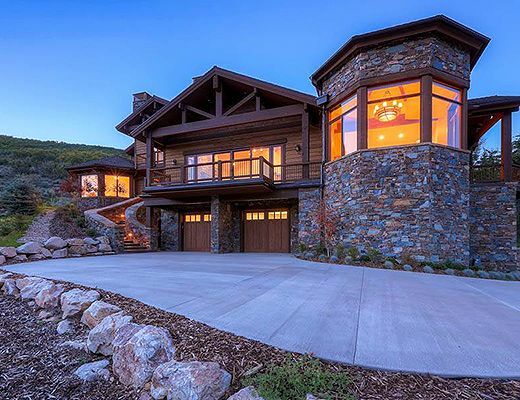 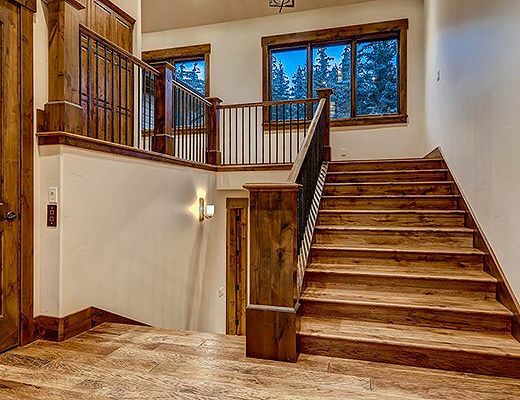 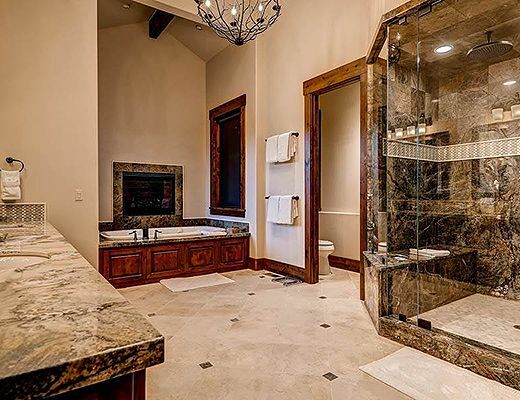 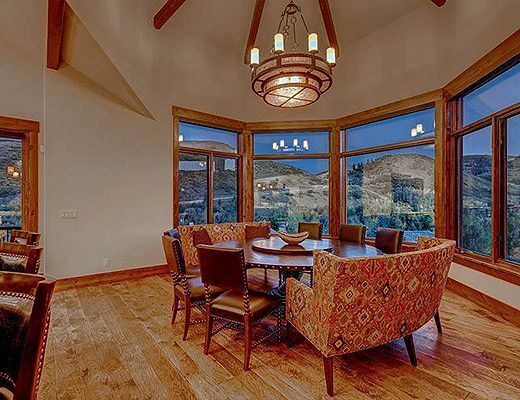 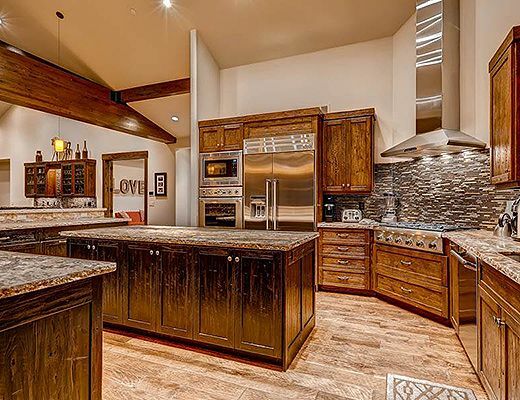 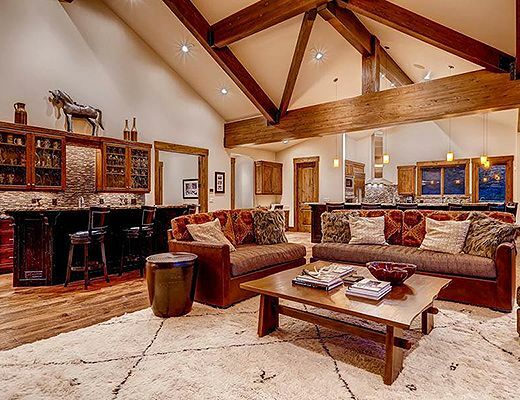 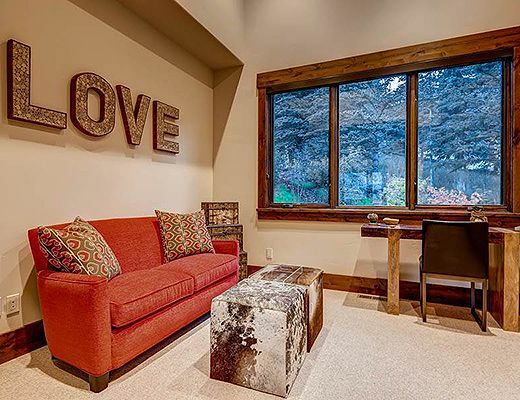 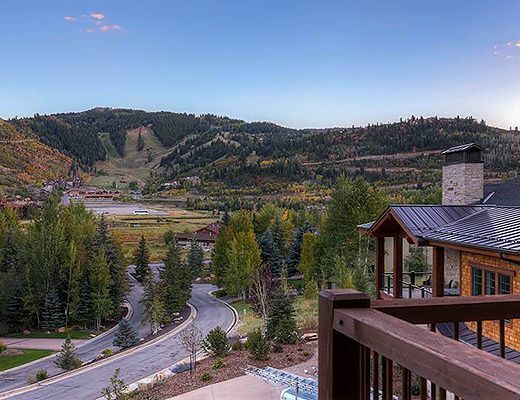 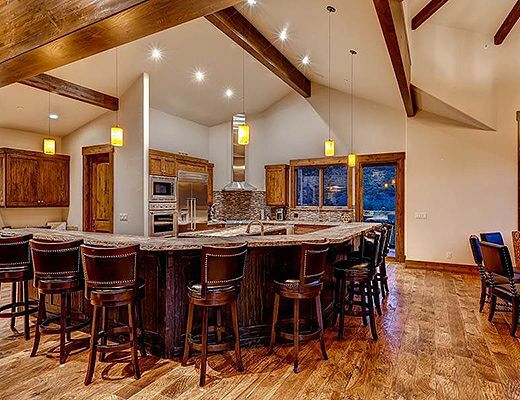 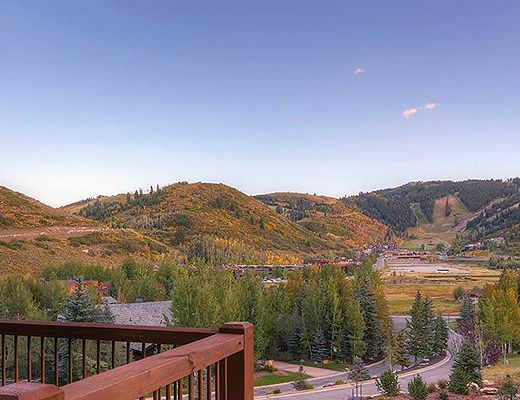 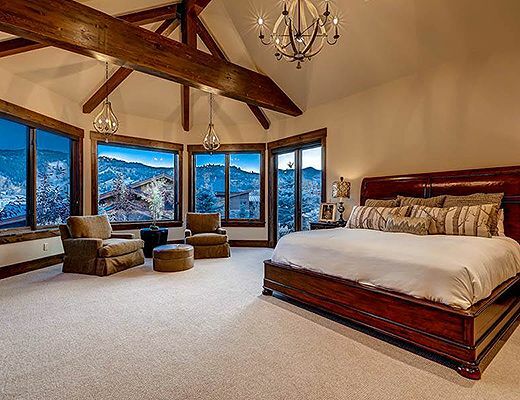 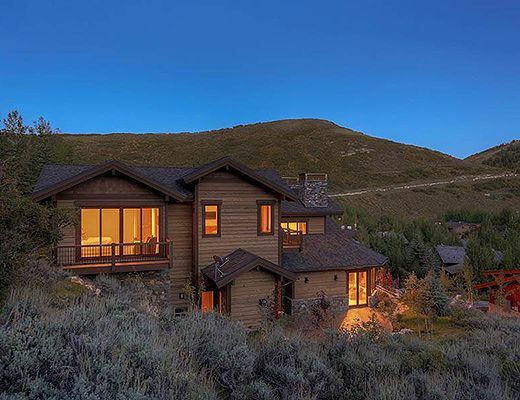 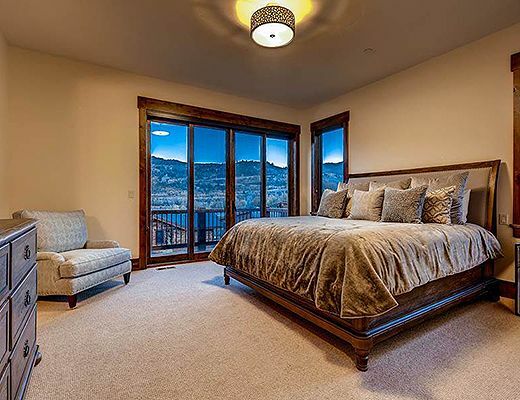 This 5-bedroom/6-bath home is ideally located with picturesque views of Deer Valley Resort. 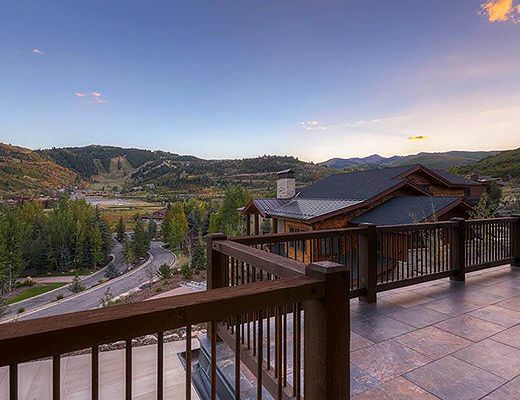 Check the snow conditions by standing on one of the 7 decks surrounding the home. 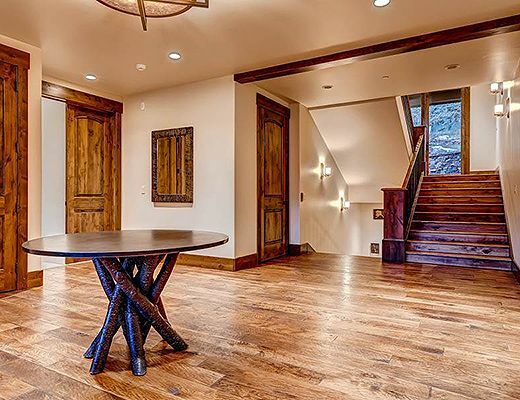 This home is spacious and modern, with two family rooms, a den, a large open kitchen area, and high ceilings. 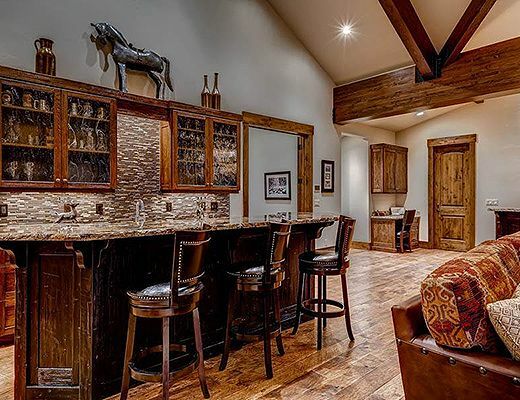 The great room includes a deluxe wet bar, perfect for entertaining. 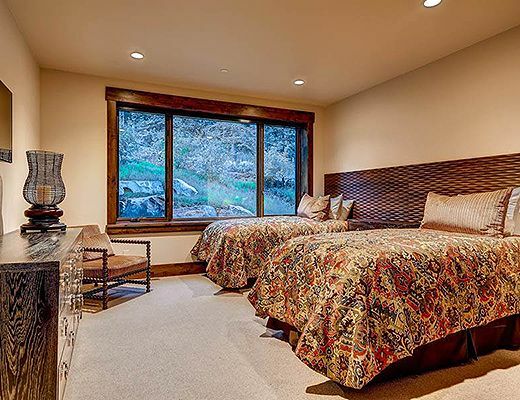 The master bedroom includes a seating area, a spacious en suite bath, steam shower, and a walk-in closet. 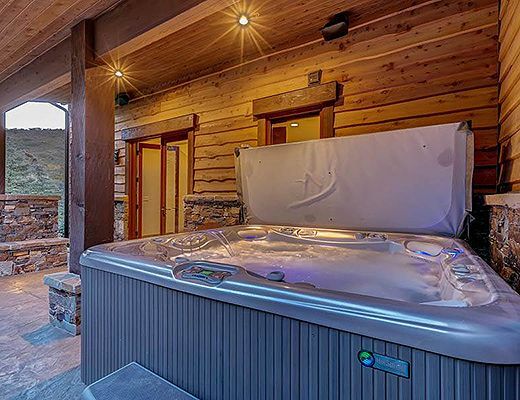 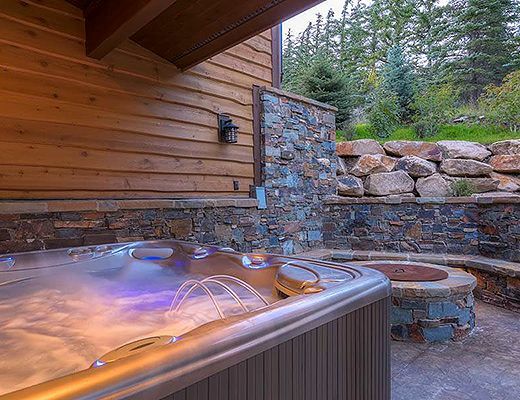 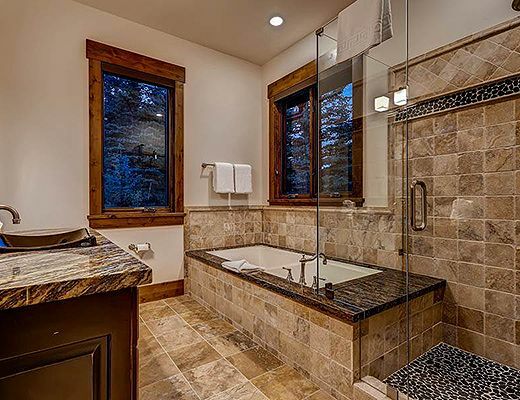 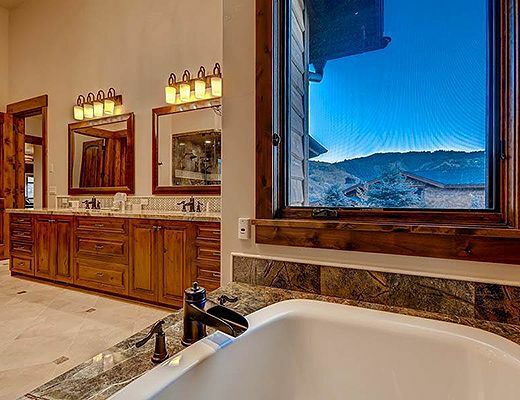 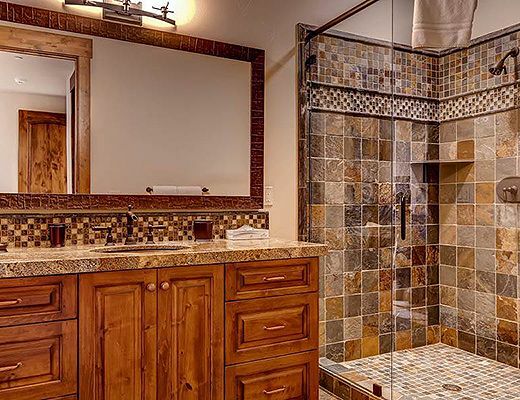 Soak in the jetted tub alongside a gas fireplace, while taking in sweeping views of the mountains. 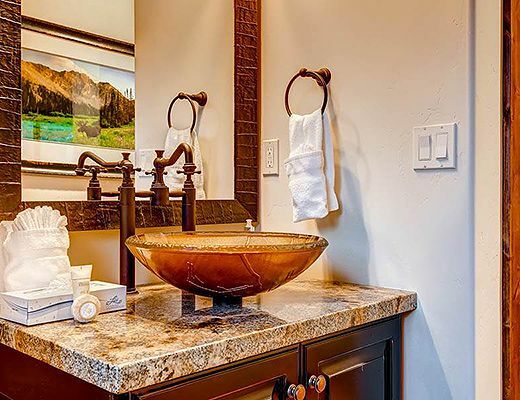 Each bedroom has its own en suite bathroom with ample closet space. 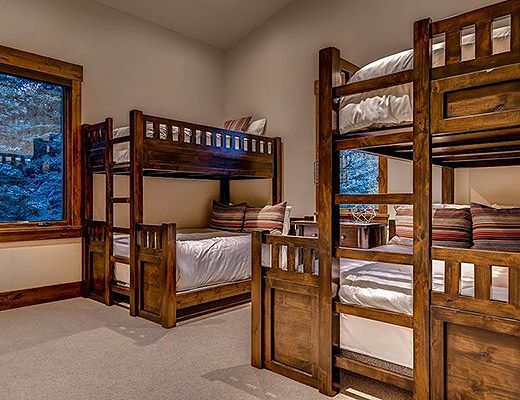 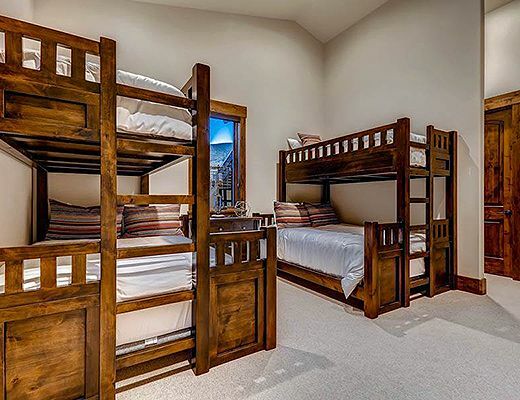 Bedding in the home includes a king in the master, king in the second bedroom, king in the third, 2 twin beds in the fourth that can be converted into a king upon request, and two sets of twin and queen bunk beds in the fifth. 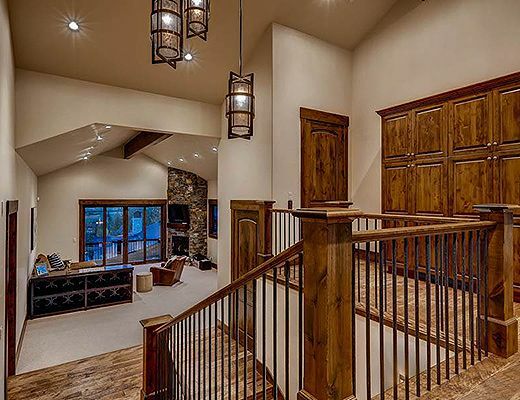 This home includes a den, and an elevator to access all 5 floors, and a fitness room. 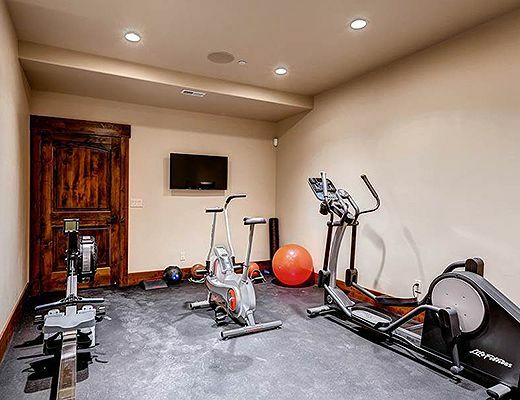 The fitness room has an elliptical, a stationary bike, a rowing machine, free weights, medicine balls, and kettle weights. 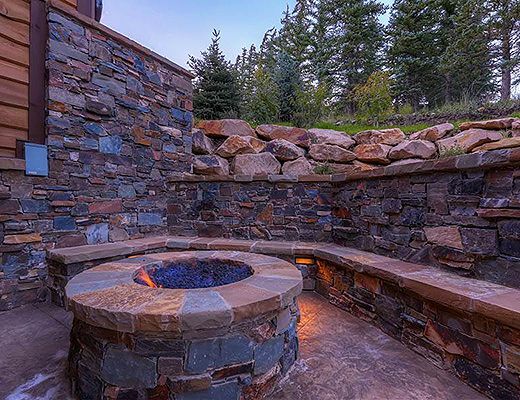 The custom stone patio includes a private hot tub and fire pit available for use year round. 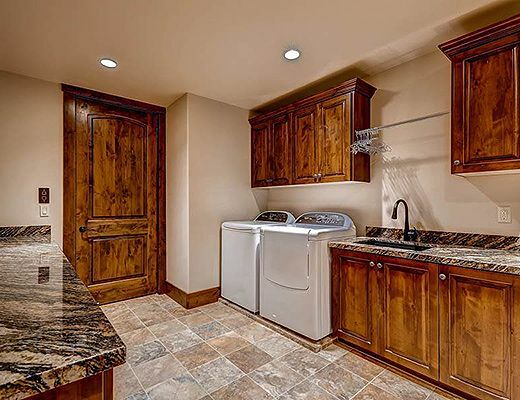 The patio off the kitchen includes a gas BBQ grill. 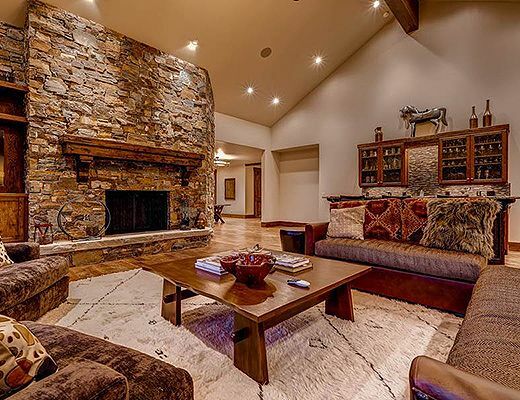 The home is equipped with a deluxe sound system, allowing guests to play and control music throughout the house.